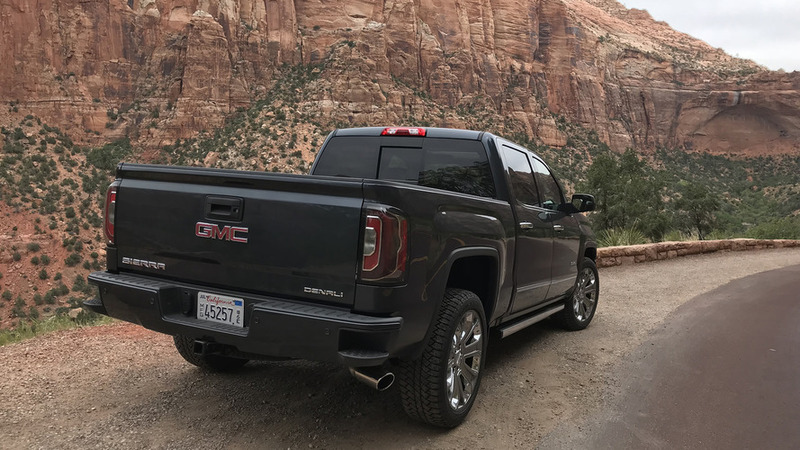 Loaded down with two Polaris RZR side-by-sides sitting on 24-foot-long trailer, I climbed behind the wheel of a 2018 GMC Sierra 1500 Denali planning to head 60 miles east from St. George, Utah towards Coral Pink Sand Dunes State Park, Kanab Utah. The plan was to trailer out the toys and play in the sand, but first a towing demonstration and education. 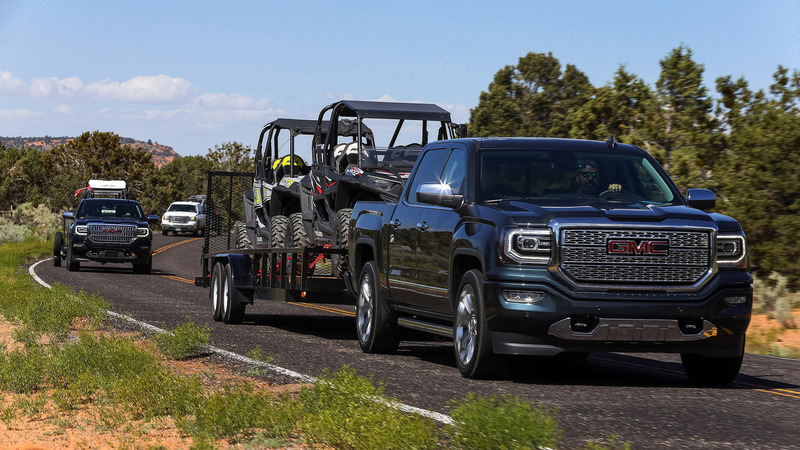 Prior to leaving, Lead Development Engineer for GM's full-size trucks, Chris Carino explained the towing capability of the pickup with either a 5.3-liter V8 or 6.2-liter V8 engine. According to GMC, 70 percent of Sierra owners tow regularly, taking advantage of a variety of towing-specific features like the standard trailer sway control, a tow/haul mode that adjusts transmission shift points and throttle input to account for the extra weight, auto-grade braking, the transmission temperature gauge, and the available trailer brake controller. These systems work to keep the pickup and trailer from getting out of control creating a dangerous driving situation. These features are in addition to common-sense towing precautions. Check your lights, cross the tow chains, check the hitch and tire pressures, and make sure your mirrors are adjusted. Beyond these actions, it’s worth knowing your truck. Towing is more than just the trailer and you must be sure the total weight towed (including passengers in the cabin) doesn’t exceed the pickup’s capability as well as making sure the load is balanced on the trailer. Heading out in a Sierra Denali with the 5.3-liter V8 engine, which produces 355 horsepower and 383 pound-feet of torque, the pickup struggled a little with the 5,500-pound load and I would have liked more power. The base V8 configuration, with this much towing weight, is right at the limit of what I would comfortably tow on a regular basis. But for the occasional tower, it’s a usable amount of power. 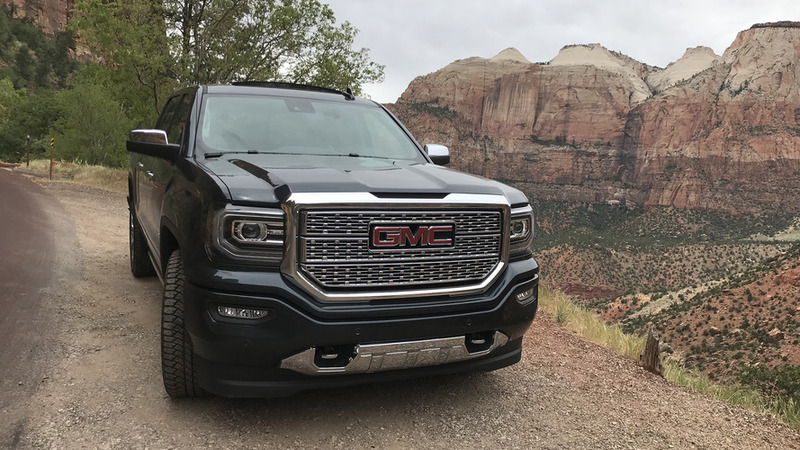 For owners who want more towing power, GMC offers a 6.2-liter V8 engine with 420 hp and 460 lb-ft of torque for an additional $2,495, offered only on SLT and Denali trims starting at $46,595. The towing experience with this engine is smoother than the 5.3-liter with plenty of power to handle the rolling terrain. This powertrain is so popular, a GMC rep told me dealers were hesitant to sell them back to the company for this program. Back behind the wheel of the 5.3-liter V8, the pickup’s smooth ride and quiet cabin make taking in the desert landscape easy. However, our pickup was missing a few crucial towing features that would have made the trip that much better. For example, the pickup I was in wasn’t equipped with a trailer brake controller. This controller sets the level of braking response for trailers with electronic (non-hydraulic) brakes. It really is a must for those who regularly tow since the trailer works in better harmony with the pickup when braking. It’s a must-have option for anyone who wants to tow with their pickup. A trailer brake controller is a must-have option. The Sierra Denali pickup looks stylish with its thin chrome mirrors, but they’re terrible for towing. Towing mirrors, like those found on the GMC Sierra 2500 and non-Denali 1500 pickups with the Max Trailering Package, are really a must. These taller and wider mirrors provide much better viewing of the trailer tires and help immensely with blind spots. But they simply aren’t available on the Sierra Denali. 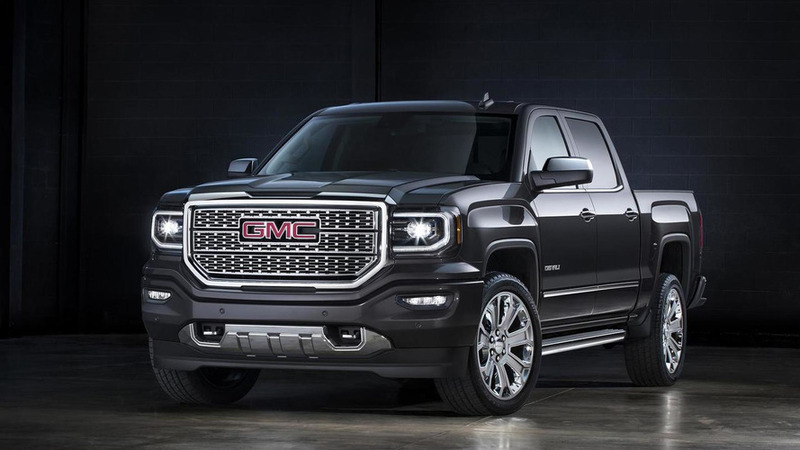 It’s an interesting oversight, considering the stated 70 percent of GMC Sierra customers who tow and how popular the Denali trim is among consumers. Having reached the Coral Pink Sand Dunes, the side-by-sides were unloaded and helmets dispersed. Switching from the 5,161-pound pickup with several hundred horsepower to the 1,348-pound RZR and its 1,000-cc, 110-horsepower engine was like switching from a sedan to a dirt bike. 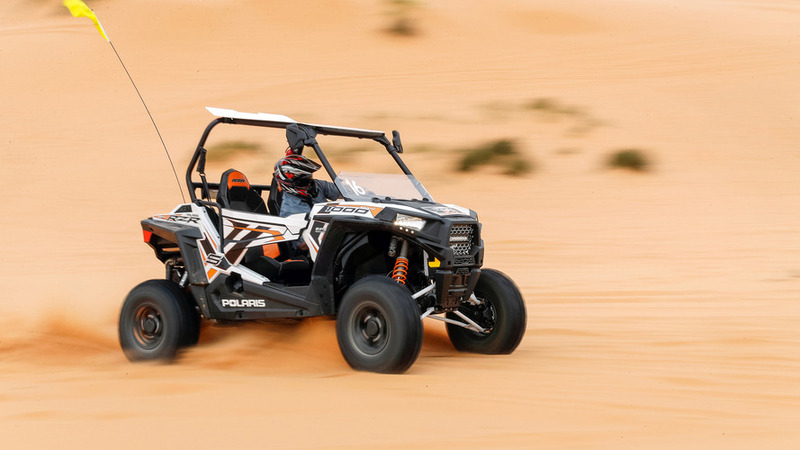 The RZR is a rocket on wheels with throttle and brake inputs resulting in a jarring, albeit incredibly fun, ride. Cruising through various trails and then playing in a sandy bowl, the RZR was nothing like the quiet comfort found in the Sierra Denali. Throttle to the floor, the RZR flew over the whoops and up the side of a hill to reach the top before turning down the hill and flying to the bottom like in a roller coaster. After an hour or so of spraying sand, we headed to our next Utah destination – Zion National Park. Switching to a pickup with the 6.2-liter V8, this time with no trailer, the route had a variety of sweeping turns, climbs, and descents heading into the park. The Sierra didn’t break a sweat and body roll was greatly minimized thanks to Magnetic Ride Control providing a stiffer suspension automatically when needed. The park offers majestic views with the red-colored cliff walls and the Virgin River snaking through the canyon ending at the Emerald Pools with waterfalls and a hanging garden. With hours now spent in the Sierra Denali, the interior seats held up well, providing a comfortable ride. The brushed metal accents with jet black coloring were luxurious respite from the desert environment. The only real item standing out on the interior was how it now compares to the next generation of luxury interiors coming to market from rivals. I’m eager to sample the interior on the upcoming, redesigned Sierra Denali. Leaving the park, I merged onto the I-15 and headed south back to our hotel. On the freeway, the 6.2-liter came to life with substantial power, although the cabin was quiet enough that 75 MPH felt more like 25. The cabin was quiet enough that 75 MPH felt more like 25. Comparing the two engines on paper reveals both engines return the same fuel economy in the crew cab, four-wheel-drive configuration at 15 miles per gallon in the city and 20 on the highway. There is a $2,495 upcharge for the 6.2-liter, and it is well worth it if you’re regularly going to be towing more than 5,000 pounds or just enjoy a more powerful pickup. 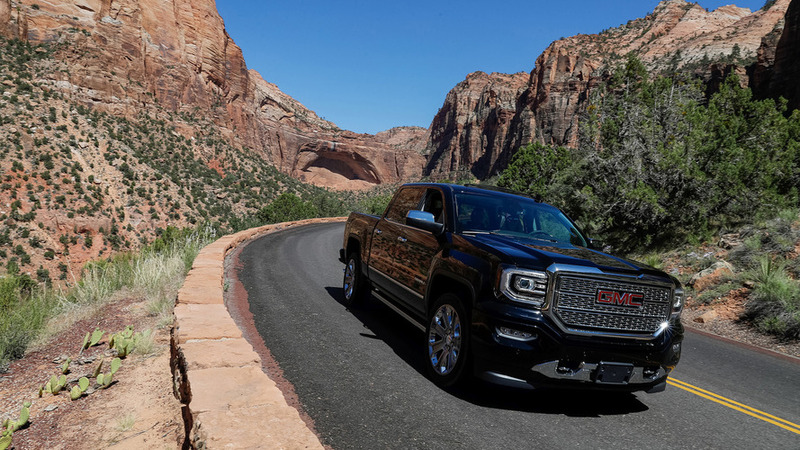 Ultimately, towing the toys, playing in the sand, and then heading back to town to clean up for a fancy dinner is really what luxury pickups like the 2018 GMC Sierra 1500 Denali are designed to do. It’s hard to argue the Sierra Denali doesn’t do those things really well.